"The MTR line of products in Endura’s broad range of products is fast becoming my favorite…minimal and purposeful, MTR is “Just the facts, ma’am”. The Emergency Shell is certainly that, with a no frills approach to a decently high level of protection from the weather. I appreciate sleek fitting clothing that is cut to move and do it’s job effectively..."
"Those Livingstonian gear gurus at Endura know a thing or two about rain. This jacket is proof – it’s a pure wee belter, ken? Rain beads and runs off without soaking in – even after subjecting ours to washing machine ordeals, it repels the rain a treat. 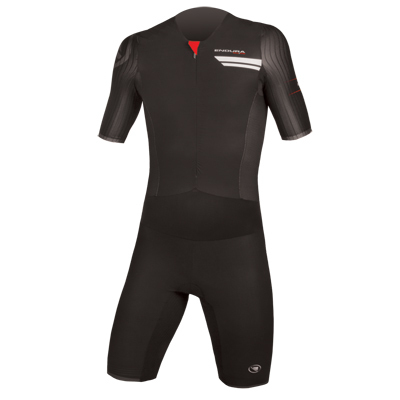 The cut is fitted and streamlined yet unrestrictive thanks to strategic stretch panels. 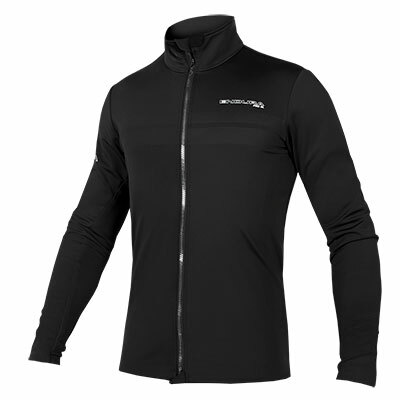 Devoid of pockets and vents, it isn’t designed to be worn all day, but the fleecy collar makes it relatively cosy when zipped up – ideal for weathering a storm or setting-out a mid-ride calamity." "If we were to design a packable jacket, the result wouldn’t be a million miles away from Endura’s MTR Emergency Shell. Bulk and weight is kept to a minimum with an unfussy design – light, elastic cuffs and no pockets – backed up by a lightweight waterproof fabric that cuts a compromise between weight and durability. Taped seams also help keep the weather at bay. The neat fit keep flapping fabric and internal draughts to a minimum, but we did find the lack of ventilation meant it got a bit clammy when working hard on the climbs. On the upside, the dropped tail protects you from wheel spray, and it was finished off with a neat elastic strap to keep it rolled up in your pack. A well-considered jacket at a very reasonable price." "Dit jack mag dan wel een ‘emergency jack’ worden genoemd, het functioneert in de praktijk veel beter dan alleen als noodvoorziening. Hij behoort tot de lichtste en meest compact opvouwbare jacks in deze test en heeft een uitstekende pasvorm en snit. In de kraag zit een breed elastiek waarmee het jack compact kan worden ingebonden. De kraag zelf is trouwens een van de beste van alle geteste jacks: hoog sluitend, zacht en geen snijdende rits in je keel. Het materiaal is een tweelaags waterdicht membraan met elastische inzetstukken, zodat je uitstekend kunt blijven bewegen zonder dat het jack je hindert. De waterbestendigheid ligt op hoog niveau, terwijl de ventilatie voldoende scoort door het ademende materiaal. Een van de betere lichtgewicht jacks in de test." "The Scottish gear gurus at Endura know a thing or two about rain. The emergency shell does what it's supposed to...Rain and water beads run off without soaking in. Even after subjecting it to the washing machine, water is repelled superbly. 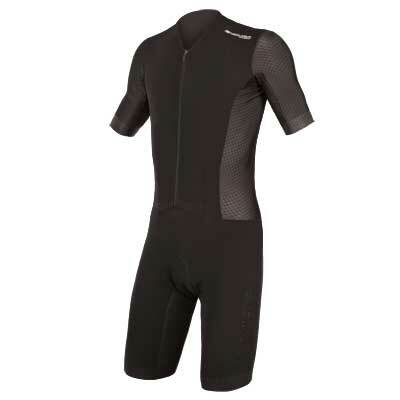 The cut is fitted and streamlined yet unrestrictive thanks to strategic stretch panels. Waterproof, light and well designed." Škótska Endura prináša stabilne vynikajúce kúsky oblečenia za veľmi dobré ceny. Ich pôvod znamená, že o daždi na trailoch budú čo-to vedieť a táto pohotovostná bundička robí presne to, čo by ste od nej mali očakávať – vylezie z útrobo ruksaku, ke ď sa znenazdajky otvoria nebesia. Voda na jej povrchu vytvorí pekné kvapôčky, ktoré bez akejkoľvek škody zbehnú dole. Tieto vlastnosti bunda nestratila ani po našom testovacom opraní v práčke. Strih je priliehavý, no nijak vás neobmedzuje vďaka strategicky umiestneným strečovým panelom a flisom podšity golier je pohodlný. Absencia akýchkoľvek vreciek z nej nerobí najlepšieho kandidáta na celodenné jazdenie, rovnako ako tesnejší strih, v ktorom vám začne byť čoskoro teplo napriek možnosti úplne bundu rozzipsovať. Hoci je vzadu predĺžená, celkovo patrí k tým kratším, preto možno budete potrebovať o číslo väčšiu veľkosť. Vodeodolná, ľahká a dobre navrhnutá – ak vám sadne strih. 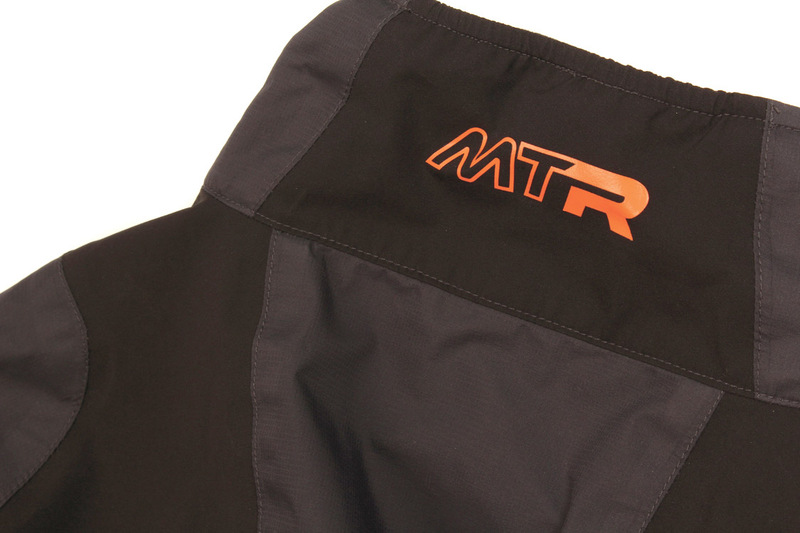 "Everyone knows you should always pack a jacket on every ride...since first trying the MTR, we've never left home without it - and neither should you... clean lines and a slim cut that manages not to feel restricitve thanks to stretch inserts where you need them. 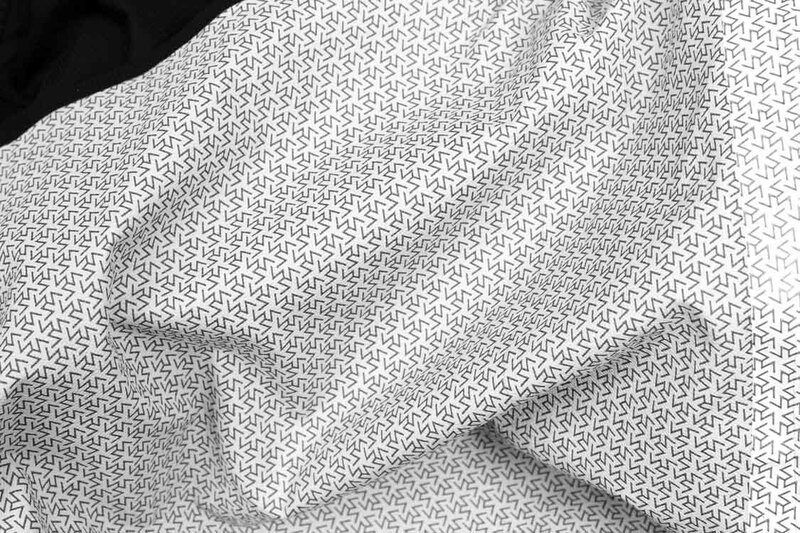 The fabric is two-layer and extremely light.. you certainly won't notice the weight." "...Otvor není jen síťovaný, na okrajích je pruh membrány, což je skvělé – vítr neochlazuje pokožku, dochází opravdu jen k odvětrání. Stejně vynikající je ochrana proti vodě; záda chrání prodloužený díl, pas lze stáhnout gumou, rukávy suchým zipem, límec je vytažen až pod bradu. Jeho střih je přiměřeně volný, aby bylo možné použít i spodní vrstvu, a přitom za něj nezafukuje. Střih je perfektní celkově, a tak jsme si jízdu užívali bez omezení. Materiál navíc dokáže při zastavení docela dlouho udržet teplo. Kapsy, jedna na rukávu a jedna prsní, jsou plně odolné vůči vodě i vlhku i zevnitř, v čemž je Endura v testu výjimkou, o převážené věci tak není třeba mít obavu. Výkon materiálu, střih, detailní propracování, velká kapuce, voděodolné kapsy, více barev v nabídce, reflexní prvky, stále ještě přijatelná cena"
"We can honestly say that since first trying the MTR, we’ve never left home without it – it’s become an almost permanent feature in our packs and even in jersey pockets... The MTR is so minimal we felt compelled to put in on the scales – it weighs a barely-noticeable 135g, so you certainly won't notice its weight when it's stashed in your pack.. at over a year old, is still holding up well... The styling is pared-back simplicity, with clean lines and a slim cut that manages not to feel restrictive thanks to stretch inserts at the cuff and through the shoulders. It’s very easy to wear. We can’t think of a single reason to head out without one." 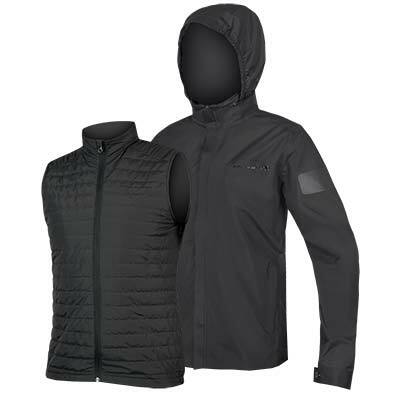 "The Emergency Shell is thin, yet retains heat and wicks moisture better than bulkier jackets that we have tried. The athletic cut keeps it close to the body and the stretch panels at the wrists and around the back of the shoulder prevent it from bunching. 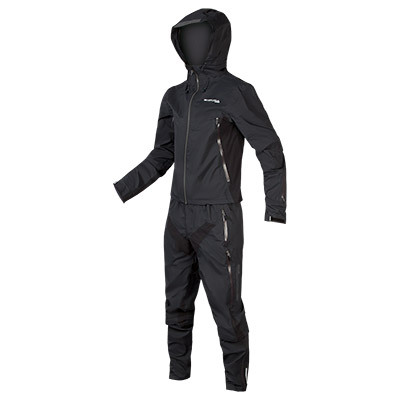 Being able to comfortably cover a 20-degree span with only two garments is impressive and demonstrates Endura's savvy use of technical fabrics." 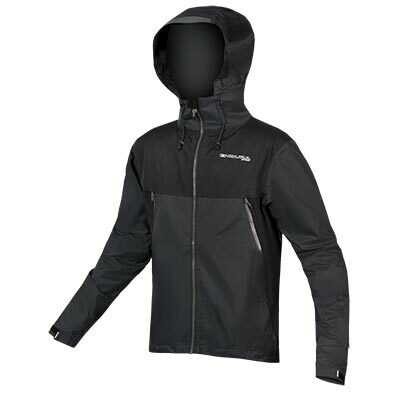 "Emergency waterproof shell or full-time trail riding super jacket - this does both... at this price its a steal." "The MTR Emergency Shell takes the idea of minimalist design to a whole new level. With no noticeable features in the way of pockets and fancy detail, it scrunches easily into your pack or a pocket with ease. 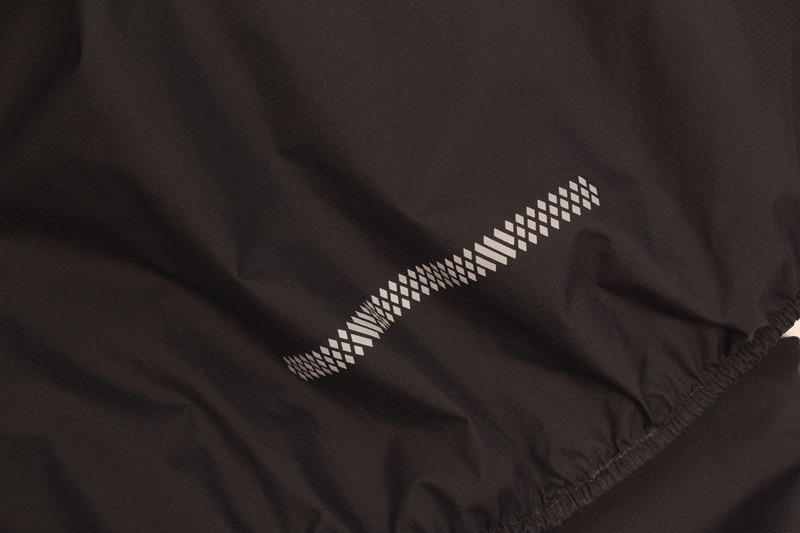 What we did utterly love about this jacket... it has sneakily useful detailing that enhances its performance and will, we guarantee, have you quietly congratulating yourself on having the brilliance to recognize great design when you see it. There’s an elastic loop on the back of the neck for teeny tiny packing and, while its barely-there construction eschews the use of Velcro, the double flap on the zip doesn’t need any help to stay put. 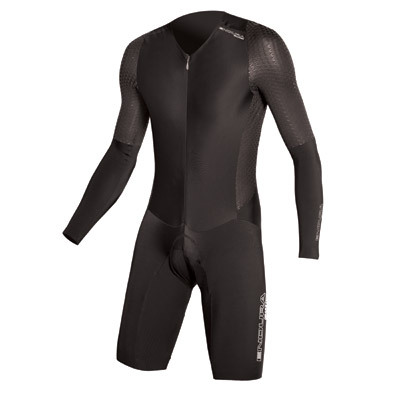 The fabric is a very thin two-layer waterproof with stretchy inserts on the cuffs and shoulders so that, despite the slim fit, you still get plenty of unhindered movement. We were impressed by the MTR – and at around 135g there’s no excuse not to pack it along on every trip (a habit we’ve got into). In fact, it’s so convenient and effective you may even find yourself wishing for rain… Astounding, light waterproof shell at an affordable price." "A featherweight emergency waterproof that's always useful and never a chore to carry...We cant think of a single reason to ever head out without one."